Our wedding package can include our 4 STAR accommodation, consisting of 7 suites (14 adults and 2 children) inviting you to have exclusive use of the entire lodge for this special occasion. Louise Utermark, our in-house Wedding Planner and qualified Cordon Bleu Chef, is available to assist you with every last important detail, help set up and accommodate your budget, designing a menu to suite your theme.,... blending with your favourite dishes and tastes... answer all your questions and make sure the day is one you will never forget. She works with professional and reliable service providers who all have the same high standard of service. Edenheim is an owner-managed wedding venue situated amongst the vineyards on the northern slopes of Paarl, with spectacular views of the Klein-Drakenstein mountains.We combine the old-fashioned values of caring and personal service with modern ideas.If you are looking for a venue which, apart from its excellent value for money, also offers quality and attention to detail and individual requirements, Edenheim is the place to be! A most idyllic setting for a wedding ceremony is our picturesque gazebo on a pond in the garden with water fountains and willow trees. The signing of the register normally takes place in an intimate circle in our quaint little chapel. Afterwards, the photographic memories of your special day can be captured in our beautiful gardens providing various stunning backdrops from vineyards to mountain views and lavender fields, while your guests enjoy punch and canapés on the patio. Listed amongst the most prestigious luxury hotels in the world, The Lanzerac Hotel & Spa, a member of Gatsby International Hotels & Resorts, extends a warm local and international welcome to guests, inviting them to experience the finest hospitality and heritage the Cape has to offer. One of the region's most distinguished examples of Cape Dutch architecture endures on a 300-year old country estate, preserving the elegant atmosphere of a gracious age. Accommodation is exclusively limited to 48 spacious rooms, including 5 Junior Suites, the luxurious Royal Pool Suite with it's own private swimming pool and the Presidential Suite. Most rooms and suites open out onto private patios overlooking lush vineyards, landscaped gardens and the majestic Helderberg Mountains. The Lanzerac Hotel is an idyllic and intriguing venue situated in the vineyards of Jonkershoek, Stellenbosch. Offering 3 separate fully air-conditioned venues each with its own private entrance and natural daylight. Seating capacities range from 20 to 150. By prior arrangement, the exclusive over 300-year-old Manor House can be made available. 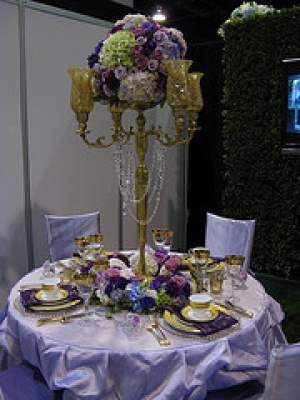 This venue offers 2 elegant rooms seating from 6 to 24. It is also an excellent historical venue for private in-or-outdoor food and beverage functions. Behind the Manor House lies the large open lawn, with panoramic views of the Stellenbosch and Helderberg mountains, which can accommodate weddings of up to 400 people, under Marquis. Come and enjoy the cooling effect of the nearby Atlantic Ocean around our pool or the warmth of your fire place on a rainy day. With vines overhanging your private patio and a glass of wine in hand, sunsets have never been so beautiful. These luxury self-catering cottages are situated just 7 km outside the Historic town of Stellenbosch. Nestled among the majestic mountains of the Stellenbosch wine region, the ultimate experience awaits you Cultivar. Senses will delight with spectacular views of the underlying valley with surrounding vineyards and streams. 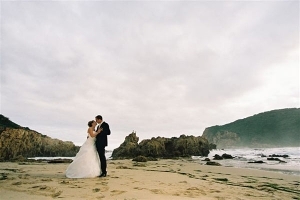 More often than not couples search for wedding venues Cape Town surrounds or winlelands wedding venues as the romance of our beautiful mountains, white sandy shores and sprawling oceans and vinyards attract all the happy people. Many of the better function and affordable wedding venues in Cape Town and greater Cape Town wedding venues are to be found just outside of the city limit.The most favoured wedding venues in Cape Town are to be found in the Romantic winelands as they provide the restful farm atmosphere close to the city and suburbs where you can let your hair down and relax with ones close to you, far from the hustle and noise of the concrete maze. From the time that you are welcomed to the upmarket Protea Hotel Kruger Gate under the towering indigenous portico, you will know that you're about to experience something different. This superior lodge style hotel on the banks of the Sabie River in Mpumalanga offers an affordable luxury getaway. The ambience of comfort is unforgettable in the context of the African bush. Savour the impression of being in a tree house, reinforced when you notice that the veranda and walkway to your air-conditioned room is at a level normally the sole domain of the variety of birds found in the area. Protea Hotel Kruger Gate offers a choice of conference venues for up to 220 delegates that can be configured to suit your specific requirements. The hotel rooms are equipped with spacious working areas for conference delegates or business travellers. A buffet-style breakfast is served in the Hotel restaurant, while an a la Carte lunch is served on the wooden deck. The Protea Hotel Kruger Gate's new pool deck bar overlooks the Sabie River, perfect for game viewing. GUESTS can sit back and relax and absorb the amazing sounds of nature while sipping on a refreshing cocktail. As the dinner drum sounds, one of the most memorable moments of your visit will be dining under the stars. The Lapa Restaurant offers just this experience, along with true African cuisine including game and bubbling potjies of fragrant delicacies. The food is complemented with authentic cultural entertainment ranging from Shangaan traditional dancers to an African choral group and marimba bands. Umlani Bushcamp is a highly recommended, classic African safari camp located in the Timbavati Private Nature Reserve, which forms part of the Greater Kruger National Park.See the real Africa at Umlani: enjoy the ultimate experience of true wilderness and seclusion in a camp that accommodates just 16 guests, in traditional African reed and thatch huts.Umlani's philosophy of simplistic luxury and 'getting back to nature' is enhanced by the romance of operating without electricity. 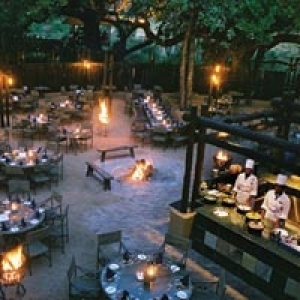 Enjoy the warm atmosphere of candlelight and oil lamps and open-air bush showers fuelled by wood fires. The accommodation offers you all the privacy and comfort you need for uninterrupted relaxation. Umlani's prize-winning cuisine will take you on a gastronomic tour of African styled food. Umlani Bushcamp offers an exciting, safe experience in Big Five territory. View the lion, leopard, elephant, buffalo and rhino, in more than 10 000 hectares (24 000 acres) of traversing area. The camp is also home to more than 40 mammal species and 350 bird species. Experience the thrill of game drives in open Land Rovers, guided bush walks and tracking game on foot with highly experienced rangers and trackers. At Umlani you are guaranteed an adventure of a lifetime in one of Africa's world-renowned, un spoilt wilderness reserves. The Elephant Hide Guest Lodge is a small, intimate and very private venue situated on the Welbedacht clifftops. The spectacular views over Knysna Lagoon offer a stunning back-drop for your special day. 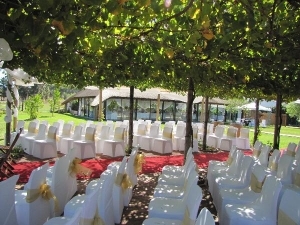 The lodge can assist with both the ceremony and the reception of up to 50 guests comfortably. Our wooden deck and pool area overlooks the lagoon, where the sun sets behind the mountains - a very special and romantic venue to tie the knot. The reception area has a large, cozy fireplace which adds a glow on cooler days. 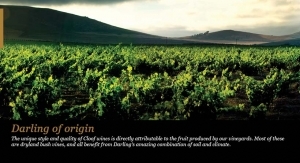 Vineyards were first planted at Cloof in 1966, with additional plantings in 1976 and 1987. In that time Darling, adjacent to the Swartland, was better known as a wheat farming region. A cellar was completed in time for the 1998 harvest, which allowed the first release of Cloof wines during the course of 1999. Vineyard area was significantly increased, with plantings every year from 1998 to 2000, bringing the total to 145 hectares. The 220 hectares of vineyards at neighbouring Burghers Post are under the same ownership, giving us unparalleled access to (and control over) top quality fruit. Also occurring naturally is a variety of birds, reptiles and amphibians which are now also protected from persecution. Some of the endangered or protected species include blue cranes, black eagles, black harriers and three tortoise species (i.e. Angulate tortoise, Parrot-beaked tortoise and the critically endangered geometric tortoise). Nothing at all should ever be left to chance on the most beautiful day of your life - least of all the venue and setting - where your memories will be captured and where you will experience romantic hours which you will fondly remember for as long as you live. Allow the beauty and serenity of Bakenhof Exclusive Venue to enhance your memorable day and enjoy being among your close friends and family together with your soul mate. Offering an unsurpassed backdrop and enchanting ambience to compliment your special occasion, you will find yourself surrounded by panoramic views of the Limietberg, Groenberg, Haweque and Klein Drakenstein Mountains. 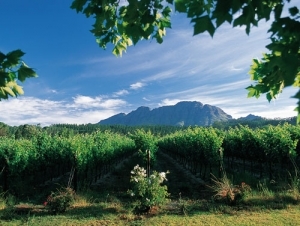 A convenient and scenic drive from the city, we are situated at the gateway to the Paarl wine route, just 50 minutes from Cape Town. A tree-lined driveway guides you through manicured vineyards to the guesthouse, which is perched on a hill of the 155 hectare Bakenhof Grape and Wine farm. The only traffic rule you'll have to obey on our 2km stretch of private tarred driveway is to make way for the resident geese, which patrol and cross the road as they please. Soak up incredible views of Table Mountain from the patio whilst sipping an indulgent welcome drink and be greeted by the sounds of nature in the lush gardens. Soothing sounds of the outdoor water-feature beckon guests to the luxurious and elegant venue where the pool area and surrounding palm trees are lit up at night, creating a mood of tropical magic.